Crumbled bacon with this hearty corn chowder is a match made in heaven. Sweet corn is blended together with potatoes and heavy cream to create a creamy chowder. Blend the entire batch of soup if you like it extra creamy, or leave some unblended if you want a little more texture to your chowder. Either way, you will love how creamy and filling this soup is and how easy it is to make. Serve this corn chowder as a side to your favorite BBQ menu, or as a main for a hearty lunch. Heat the butter in a large pot over medium heat and add the onions and garlic. Cook for 7 minutes, stirring occasionally. Add the corn, thyme, potatoes, pepper, cream and chicken broth and bring to a boil. Simmer for 20 minutes, then cool to room temperature. 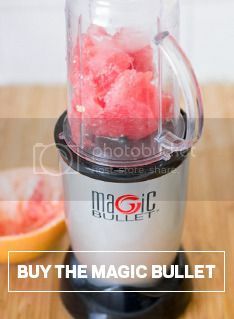 Blend the soup in a Magic Bullet blender until creamy, then add back to the pot.